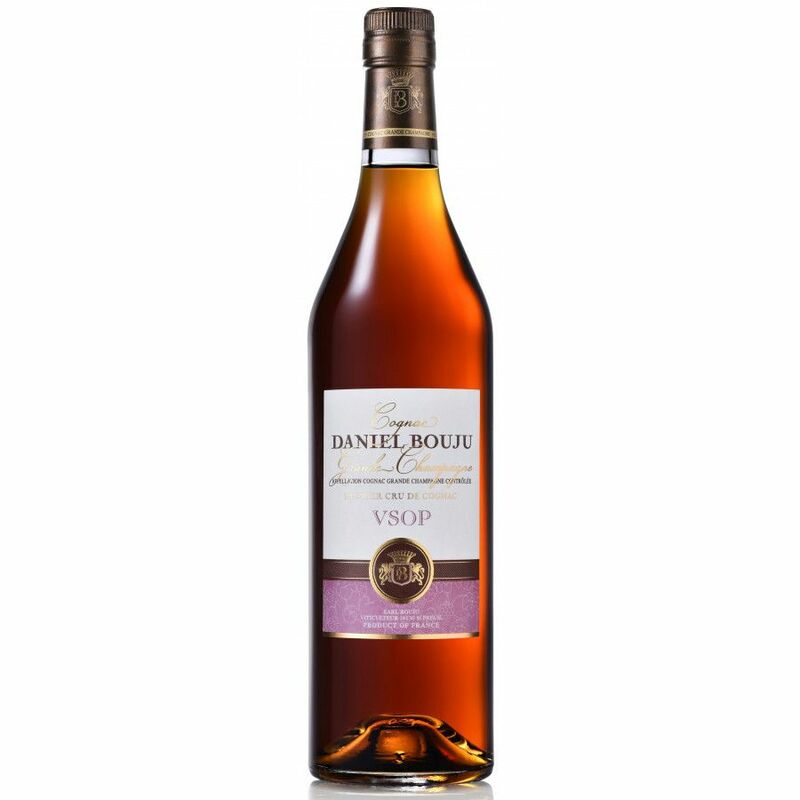 Daniel Bouju VSOP Cognac is created solely from eaux-de-vie from the premier cru of the region - Grande Champagne. Amber in color, on the nose you first enjoy delicate and fine aromas of vanilla and spices. These tones further evolve on the palate, moving into a satisfying finish and aftertaste. A good quality VSOP cognac that offers exceptional value for money from this artisanal cognac house. I tasted this VSOP in a blind tasting, together with 7 other VSOPs. This Grande Champagne blend came in on 2nd position. I noted that the after taste is pretty smooth. Very nice with lovely nose. Long and satisfying finish. This is an excellent tasting experience! The nose is light, slightly sweet, with the aroma of ripening pears, green apples, and an undertone of vanilla. The taste is very full and explodes in the mouth; complex, but with the underlying vanilla hints being dominant. Perhaps a spiciness hints of cloves. Very little oak. The finish is long and satisfying, again with vanilla but with a hint of oak coming through here. The finish lasts several minutes, longer than Courvoisier VSOP. This is an excellent companion with a good freshly brewed coffee. Definitely an upscale Cognac, in spite of the very reasonable price.